In its Standards of Professional Practice the AIGA makes this unequivocal statement regarding authorship, “When not the sole author of a design, it is incumbent upon a professional designer to clearly identify his or her specific responsibilities or involvement with the design. Examples of such work may not be used for publicity, display or portfolio samples without clear identification of precise areas of authorship.” Unfortunately, this dictum has not led to consistency in the way graphic design is credited in magazines, books, websites, or contests and doesn't address the problem of unattributed work. The AIGA's stance speaks to what has traditionally been the major issue in graphic design attribution — in such collaborative work why does a single designer end up getting the credit? Micheal Bierut gave a detailed exploration of this issue in his post Credit Line goes Here. But there are a lot of other open questions about giving credit in design. For example: What about young designers who put work done at a well-known studio on their personal portfolio site? What about big studios that use a monolithic studio credit for the work done by individual employees? And (as in the Sundance Channel example) what about work that goes completely uncredited? Design annuals exemplify one extreme of the design attribution quandary. In order to avoid missing anyone they feature exhaustive (and exhausting) lists of project participants, carefully ticking off everyone and everything from creative director down to the software used. Such attempts at thoroughness, however, illustrate the futility of attribution in design. Each level of detail that is included reveals another level in the network of causation that is not. (If software is included, why not software authors?). Or, in other cases, an individual name is repeated over and over again in a single caption. Other professions have much more highly developed languages of attribution. In films, for example, credit is acknowledged once and for all and in detail at the end of a film. There is a great deal of horse-trading, arguing, and appeasement regarding the credits for any film project, but by opening night everything’s printed on film, the modern equivalent of being set in stone. In contrast, a piece of design can reach the widest audience and still remain anonymous. There is generally a lag between the completion of a design project and the need to write the attribution for a contest or reproduction. Film credits have been instrumental in codifying the labor hierarchy in the film industry, institutionalizing a shared vocabulary of job titles and responsibilities. No such standard has evolved in design — for example the term Art Director means something vastly different in an in-house design department than it does at an advertising agency. 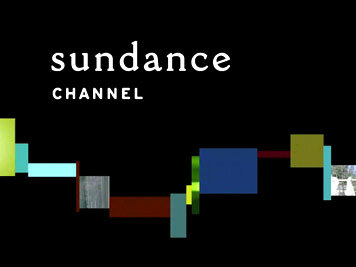 It is precisely these native complexities and contradictions in graphic design authorship that are used to justify the kind of blanket corporate attribution used by Sundance Channel in Broadcast Design. Rather than wade into such ambiguous waters, it is easier to simply not credit anyone. Many large design studios have reached a similar conclusion and simply credit any work done at the studio to the studio entity. Frequently the mainstream press simply leaves works of design unattributed as if they were produced out of thin air. Part of the problem is that attribution only becomes an issue after a work has become enduring or “important” and by that time it’s hard to recreate exactly how it came about. Most of the time design is a compromised, rushed commercial enterprise and it would seem pretentious (if not perverse) to diligently record this information while a project is in process. Even if there were the time, the roles on a design project are incredibly fluid: ideas come from all over, designers come and go, bits of a project are farmed out, last-minute changes are made and so on. It is only months or years later when a piece of work garners some notice that all of these twists and turns are revisited. Indeed, preparing the caption for the image at the beginning of this article started with numerous e-mails and more than one Google search before I gave up and simply credited the creative director. On the other hand designers now have seemingly limitless opportunities to promote themselves. On a portfolio site, a blog post or a Facebook page, designers are free to make their own assertions about their contribution to a given project. This was not the case when the only opportunities for recognition were only a handful of contests and publications each year. Now every designer has their own "catalog" site and design work circulates in a fairly unregulated way even within the design press. The lack of a consistent professional standard for attribution is rooted in the fact that Graphic Design has traditionally been an anonymous pursuit. In fact, the vast majority of graphic design is still done by unknown designers for unknown clients. It is a testament to the increasing influence of design that people care at all who animated a network interstitial or laid out a signage system. Perhaps this enhanced profile has made an unrealistic expectation that designers should get credit at all in a field with a blurry notion of authorship. Or perhaps the proliferation of design media channels simply offers more opportunities for half-truths and situational ethics when it comes to giving credit (and taking it). What about young designers who put work done at a well-known studio on their personal portfolio site? Yeah, what is the rule, if any? I was thinking of adding a book to my site I co-designed with my boss who owns the design studio. Is this okay? Kelly–when in doubt, ask the agency or designer. If there are legitimately aspects of a concept or design that are yours, any reasonable designer will have no problem with you posting, as long as you are clear about your roll. Additionally if you clear it with the agency/designer, you can avoid any legal issues that you may not be aware of because you are not involved with the contract. Thanks for your advice! I will ask my boss. Credit has a ‘negative’ side also. I have been employed on a number of works which I would not want to be associated with, despite playing a key role. In those situations I presented my knowledge, skills, and creativity as tools that could facilitate the realisation of vision that is not my own. Much like a midwife, I assisted in the birth but I am not the ‘author’. Could we say then that authorship (whatever that means after Barthes et al) is not just creating a design but accepting the responsibility of it? ...Or, am I just evading my own responsibility in producing naff work? Much of the problem in an industry like Graphic Design—one that mixes creative work, based on inspiration and influences, and commercial work, based on contractual agreements in which a service is provided—is maintaining both of the worlds in the final piece. I think in many instances it is hard to draw a line between who was the creative force behind a project, and who was just an employee, in this case a designer, contributing to a project. Unlike a painter or professional writer, who can solely be credited for contributing a body of work, often times a design is a collaboration or efforts to carry out a single task. This may explain why at some points, it is simply the Creative Director that is given credit. He is, after all, the 'project manager' (to put into a more business context/terms). Few are the times that a Director of a group will give individual credit to his/her supporting team by mentioning their involvement and their recognition get passed on beyond that. Perhaps, in contrast to your mention in the paragraph about the hierarchy of film positions, it is due our ever-evolving roles as designers. In a single project we can be a researcher, writer, troubleshooter, designer, therapist, and negotiator. Can our involvement in a project really be summed up by, "Designed by _______"? 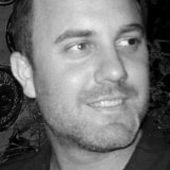 To Simon David (and plenty of other designers in the same situation): maybe we should invent some kind of Alan Smithee of our own, like they did in (yes again) the movie industry. Great post. It is a never ending battle to try to make sure that everyone who had some influence on a project be name-checked, and it is the right thing to do to give credit where credit is due, and we try very hard to do so. I recently scoured my records to try to credit a photographer for a project we worked on over 10 years ago. It was the one and only time our office ever worked with this person, and for the life of me I can not remember her name. I feel terrible about it, but there it is, I tried but came up short. If and when I come up with the photographers name I will certainly try to rectify the situation. As for work you're not especially proud of, I love the Alan Smithee idea. Attribution isn't really that tricky. If you did the work, feel free to take credit for it in your portfolio. However, and its a big "however, " you have to be honest in your citation and only take credit for what you actually did. If you only worked on a component of a project, don't take credit for the entire thing. Be clear about your role. As to an attribution in annuals or competitions simply being the design firm in which is was created, I can understand it for simplicity sake. What I really don't understand is when a Principal automatically adds their name to a project whether they were personally involved or not. In effect, taking credit for others' work in a quest to build a catalog of winning design under their own, personal masthead. Some are even celebrated for it. How does one figure out what a well-known principal of a design firm actually did? Does it matter? Have they earned the right to claim everything that passes through their doors? The discussion of attribution with respect to design calls into question the very definition of the profession (or trade?) and its products. How can there be a standardized or institutionalized scheme for attribution in design without a widely agreed-upon definition of design and its role? Using Siegel's example, the definition, nature, product and function of Film does not seem as incalculable as do those of design. Some people think that design is laying out advertisements for a newspaper. Others think design is expressing one's social or political sentiments using an ultra-chic and edgy graphic language. Some people think design is benign, others think it is a sweeping social force. Design is itself a word of ambiguity: "What do you design?" I get asked a lot. "Design? What kind?" Graphic design, product design, identity design, industrial design, interactive design, media design, fashion design, interior design … the list goes on. And each of these has further ambiguities that require clarification. Film—everybody gets film, both the producing side and the consuming side. Design, on the other hand, is not so tidy an industry (is there such thing as The Design Industry?). Likewise, nor will the attribution practices be. But like one commenter already posted, it should be pretty simple: if you worked on it, you are entitled to the respective credit. Giving credit is also simple: credit as much as you know or could reasonably glean for a given purpose. And it depends on the context too. Credit for the design of a CD insert should be kept to the top-level or most significant in the package itself. When submitted to a design annual, it should be more thorough. It's not about the designer. Confident and superior designers know what they have contributed. They now their latest great piece will not be their last. They now there are parasites in our field. They are fine with it. And they care more about the influence of the piece, or the functionality of the piece rather than their own recognition. The body of work is all one should need. Attribution is an arrogant want. I've got the original sketches, extensive research notes, client communications, and native files to prove I did the job. Baseline's piece on Edward Wright tiptoes towards this topic. This is a cut-throat field and it's misunderstood at every level, even to itself sometimes. Outside of the field, most don't even know what graphic design is or does, so attributing whatever that is to a designer or art director or firm becomes irrelevant. Or possibly it becomes most relevant. But, until graphic design becomes fully digestible, we should spend more time educating people (with films, not typefaces though, like Helvetica) on what they are actually looking at. People have used the word 'rights' in this thread a lot, but that term only refers to what by law is considered inalienable individual choice. Issues surrounding intellectual property are not so unambiguous, and contracts are used to clarify ambiguities. Who owns the intellectual property? Where are you promoting it? In some cases, "in perpetuity and throughout the universe" (ie, all time and space hereafter), ALL work, realized or not, is the property of the fee-paying client. In the above case, it's Viacom. In others, it's a bit more ambiguous, as non-disclosure doesn't always necessarily mean never-publishable. And in still others, part of your agreement or contract with an employer or client can specify what work you are entitled to publicize under your own name. It's not really so different from securing usage rights for a photograph in an ad. Different terms allow for different uses, and also call for different fees. Given the saturation of graphic design via sites like manystuff, the proliferation of 'fake studio' sites, and the deluge of 'monograph' websites, maybe a more "keeping it real" approach is anonymity. Or, at least a presentation of work that is organized around some kind of idea other than self-promotion (which requires a body of work rather than a portfolio). On the other hand, I brought this same topic up with an intellectual property lawyer with whom I struck up a conversation at a party (he was from California and worked in the entertainment business). The first thing he said was burn all of your files to DVD as you finish them, mail them to yourself registered mail, and don't open them until you are threatened with litigation. Speaking of credit where credit is due, The NY Post is reporting today of a New Yorker cartoonist that being accused of plagiarism by recreating an image from one of Jack Kirby’s Marvel Comics covers. The cartoonist Harry Bliss claimed that it was an homage, but made no mention of it. The New Yorker will add an update to their website, "drawing by Harry Bliss, after Jack Kirby"
Slightly off topic, but I thought it was appropriate to mention given the topic of attribution. Plagiarism is a far more unseemly kettle of fish than not giving credit to part of a team that worked on a given project. This has happened to me. I saw a logo published in a design annual, crediting only the "art director", our so-called team leader who had absolutely nothing to do with the creative, and nothing about us 3 designers who actually completed the project. We had all left the company by the time it was published. I was so livid that I wrote a letter to her, CC'ing the CEO of the company. This wasn't about me getting my credit when credit is due. It was about what I saw - a lie and misrepresentation. Of course, the work is in my portfolio and what matters is that I can describe to my clients my process and the problem that was solved. Likely, my clients will not care a wit that it appeared in a book. They will see it out there, working. I've seen the same sort of thing in our internal company newsletter. An article about the launch of a new product will talk at length about the design of a product and/or it's packaging. The brand manager will have several quotes. They might even get a few words from the marketing director or if it's a big enough launch the company president. Not only will there be no mention of the individual designer(s) but they will not even mention the department. It is particularly frustrating when it happens with a product that is sold based entirely on the design work. The result is more of database driven "work container" of sorts. This approach provides a ton of ways to look at information like specific credits, or other job details but the end result here may be a lack of focus. We did make a point of crediting those involved on each job in a very film credit-like structure, but housed in a "tool-tips" mouse-over approach. Having done film & TV work for a few years, I've learned first hand that all too often this credit is very heavily relied on. Just like in design, many people working on productions work for very little or even free, in the hopes that their efforts lead to the next bigger job. But producers and their staff know and understand this and usually make a very good effort to be sure lists are complete and correct for the end credit scroll.